Overview: This hike follows an old jeep trail from the little lake at Snow Flat to the scenic meadow of Treasure Park, in Arizona's Pinaleno Mountains. Although the road that this hike follows is closed to motor vehicles, it still sees occasional vehicle traffic, so don't expect a "wilderness experience". The roads leading to Snow Flat and Treasure Park are closed from November 15 to April 15 or later, due to snow. The road that this hike follows would likely be ideal for cross country skiing during that time. History: Treasure Park is the setting for one of Arizona's many lost treasure legends. A story tells of Mexican bandits burying a large quantity of stolen gold and silver bullion on "Bonita Peak", as the Pinaleno Mountains were once known, sometime during the eighteenth or early nineteenth centuries. The bandits placed three colored boulders as markers, but were never able to retrieve their treasure. In the early 1890's, a small party of searchers who claimed to possess a map to the treasure, took up the hunt, but were driven away by deep snow and a case of pneumonia. Early in the twentieth century, Forest Service supervisor T.T. Swift, unaware of the treasure story, discovered an ancient, blazed trail that led to three colored boulders at Treasure Park. Much digging was done, but no treasure was ever located. The 1930's saw the location of a Civilian Conservation Corps camp at Treasure Park. The workers from this C.C.C. camp were responsible for constructing the Swift Trail highway, which is still in use today. Snow Flat was once the site of a Boy Scout camp. Nothing remains of it or the C.C.C. camp at Treasure Park. Hike: Just north of the lake at Snow Flat is an old jeep trail marked by a small "closed to motor vehicles" sign. Follow this old road uphill, as it heads northwest into the trees. After a quick climb, the road levels off and arrives at a "T" junction at 0.4 miles, near a bracken fern patch. Go left at the "T". The jeep trail now turns south and descends a little, occasionally passing more fern filled glades among the tall firs. At 0.8 miles the road turns west, becomes more primitive, and begins a gradual climb to the top of a broad ridge at 1.2 miles. From the top of the ridge, the road turns north and makes a steady descent to Treasure Park. Small breaks in the tree cover allow for brief views of the sweet meadow to come. 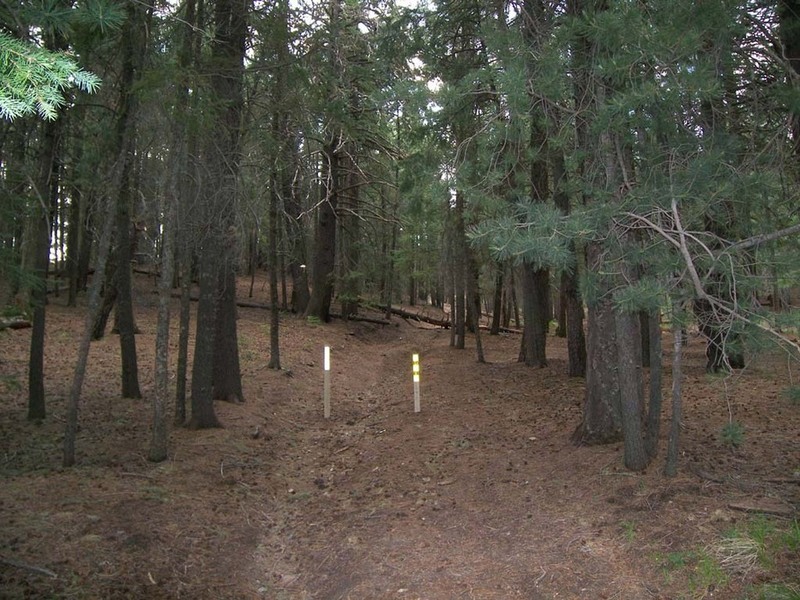 The jeep trail reaches Treasure Park and the Treasure Park road (Forest Road 89) at 1.5 miles. This largest of the Pinaleno's meadows is usually filled with wildflowers in summer. The upper end of Treasure Park's gigantic meadow is popular with campers. A nameless creek flows along the western edge of Treasure Park, and should have water year round. 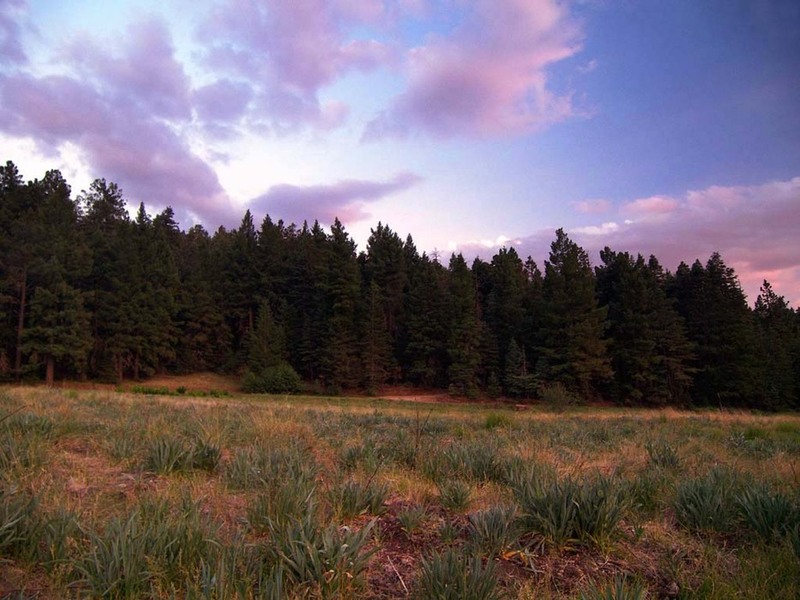 Enjoy the Pinaleno Mountains' "natural treasure", and return the way you came. When entering from Treasure Park there are a series of remote camping spots along this road, accessable by decent clearance vehicles. Water is available in Treasure Park at a faucet. Expect privacy but ATV's use this road.